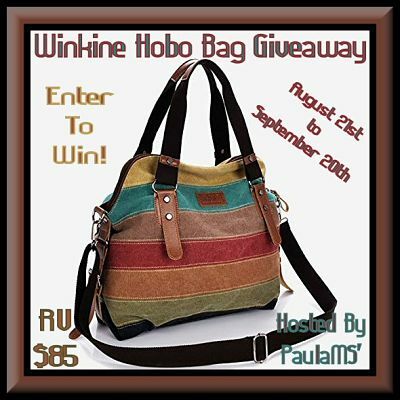 Our latest handbag giveaway runs through 9/20. You don't want to miss it. Just enter below for your best chance of getting one. This is gorgeous bag and one my mom would love...or I just might keep it for myself! I love how big it is and that the bottom is flat so it can stand on it's own. 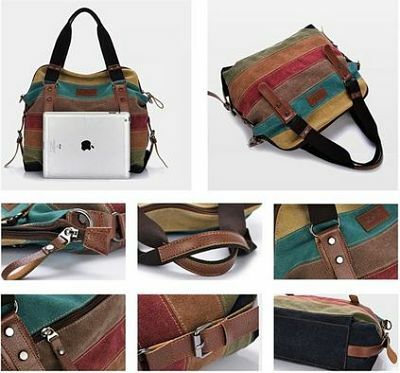 This looks like a great bag. Multi colored can be used with just about any outfit. When I was young and pictured myself with a hobo bag, it never looked like this. I love the hobo bag maybe I can keep this out of my daughters hands. This Hobo bag would be wonderful for my teen, as she looks to college next fall. My mom loves purses....well, they really are totes as she has everything in there! She'd love the colors of this...it'd make a great birthday gift for her! This tote is great for me when I go to the local coffee house during the week to type and drink coffee! I really love all the colors in this tote! It'll match with anything! This is such a wonderful bag.I would be perfect for it.thanks so much for sharing. I love the colors in this tote! It would go with anything I was wearing. This would be perfect for my daughter.thanks so very much for sharing. I can picture myself packing up this bag with my electronics and heading to our local coffee house for the morning! I love the choice of two straps!